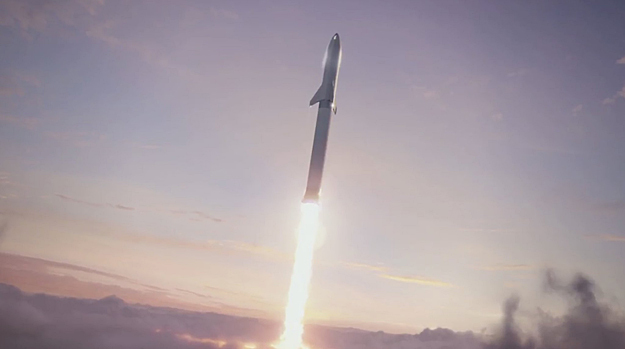 SpaceX exceeded everyone's expectations tonight by announcing that Japanese billionaire Yusaku Maezawa bought not just one but all of the seats in a BFR mission to fly by the Moon. Stating "I choose to go to the Moon", Maezawa, who made his money in the entertainment and clothing business, explained that he had been fascinated by the Moon since he was a kid. Maezawa said that he did not want to go alone. So, in Elvis Presley fashion, he bought out the venue and is going to invite a number of artists to go along on the Moon trip with him. The exact number of fellow Moon travellers is not certain - 6 to 8 were mentioned. Nor are the criteria for selection clear - yet. 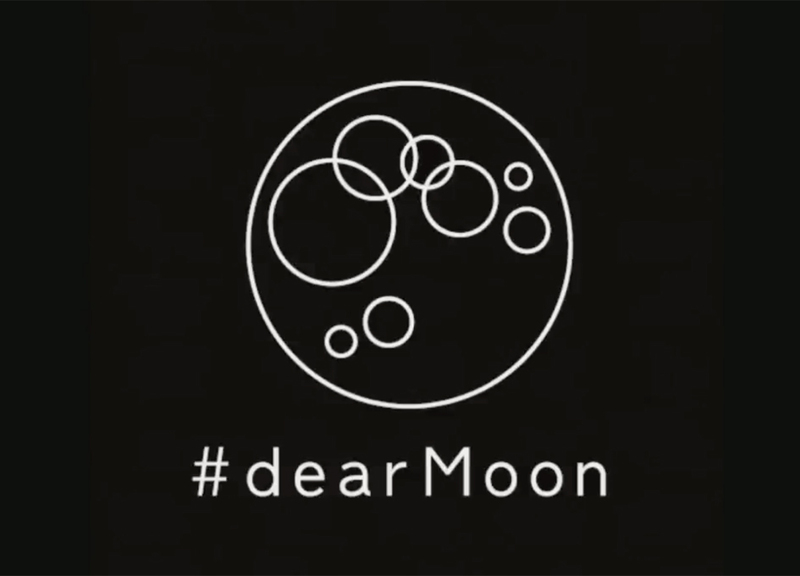 But there will be lots of branding and promoting for this mission which has been dubbed #DearMoon by Maezawa. Of Maezawa, Elon Musk said "He chose us - we did not chose him. He is a very brave person. 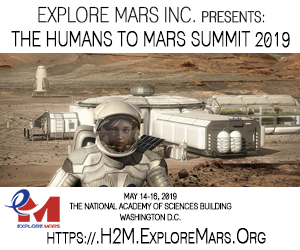 He is paying a lot of money (we're not going to disclose) that will help develop BFR and help average citizens travel to other planets." The mission itself is penciled in for 2023. Musk admits that this may slip. 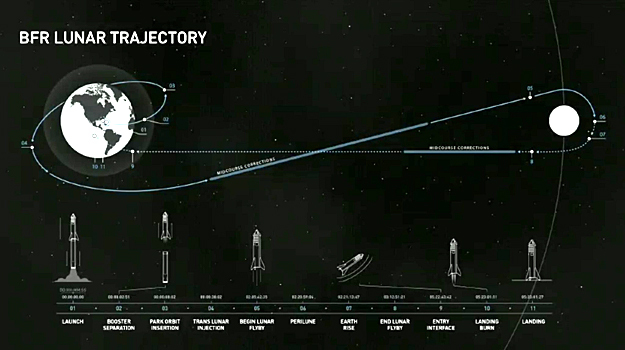 But given that SpaceX almost always meets ot exceeds its plans - even if their target date is off - the intent is clearly focused on making this mission happen. Musk and Maezawa declined to say how much was paid for this trip. Eventually, Musk did say that the down payment "is a non-trivial amount that will have a material impact on the BFR program. This guy puts his money where his mouth is." The cost of the project is also somewhat TBD. Musk said that it is probably around $5 billion "a large amount of money but small for a project of this nature" and then elaborated by saying that "it won't be more than $10 billion or less than $2 billion"". 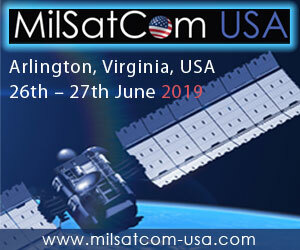 Right now SpaceX is focused on its contracts with NASA to deliver cargo and crew to the International Space Station. Musk reiterated several times that the company's focus right now is on NASA and national security work and that only 5% or so is focused on the BFR. 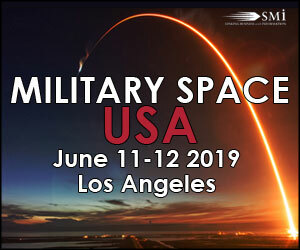 That will change as the project proceeds and SpaceX meets its committments to NASA. Indeed Musk went out of his way several times to thank NASA for all of their support and that much of what was announced today would nto have been possible without NASA's support. The BFR itself (Musk wants to change the name) is still a work in progress. Since the last iteration it has sprouted fins, added an engine, changed the window design, altered the length, and tinkered with other features. No doubt that will continue. Given SpaceX's propensity for continuous product development as is evidenced by the Falcon 9, BFR is not likely to be any different. Before the BFR flies with people aboard it will make a number of test flights without a crew - including one around the Moon. After that details start to get a little sketchy. The internal layout of the ship will probably be more spartan for shorter trips to the Moon than for longer trips to Mars. 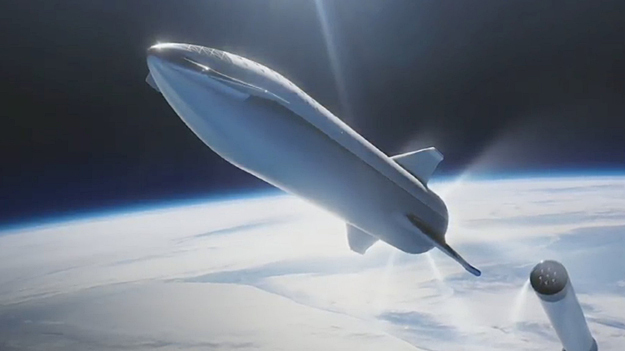 Musk said that he wants the BFR to be configured so as to allow passengers ot take the fullest advantage of weightless ness since "fun is very under rated". As for the Moon trip itself, again details are still incomplete. but Musk wants people to have fun and suggested that it would be fun to go "really close" to the Moon and then zoom out so even the Moon is small then zip back in again. Musk also said "I used to watch this corny show "Moonbase Alpha" (Space 1999). Its 2018 and there's no base on the damn moon. I think there should be one that the average person could save up for and visit." 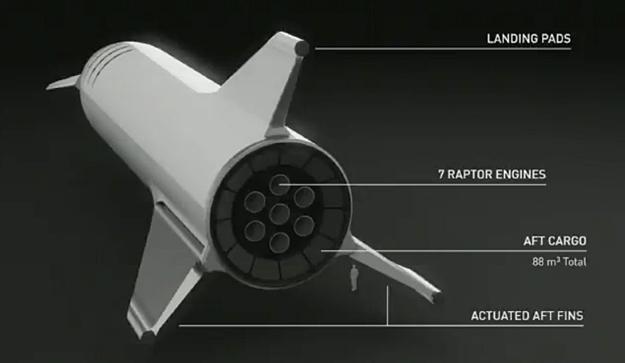 The BFR is not just a Moon ship though. 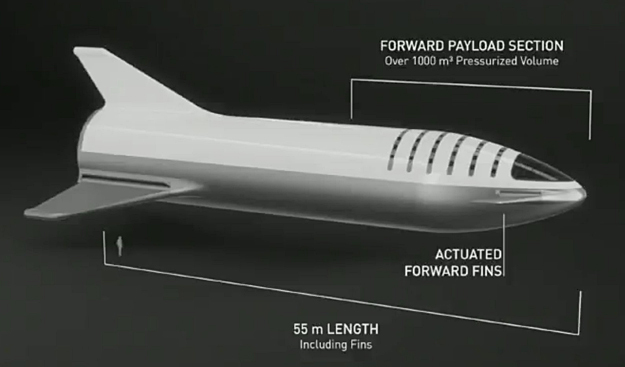 As has been previously revealed BFR is being designed to be an interplanetary transport that can put 100 tons or so on the surface of anywhere it is sent - such as Mars, the Moon, or the moons of Jupiter. "This is the sort of thing that makes you want to be a human being - and wake up in the morning. 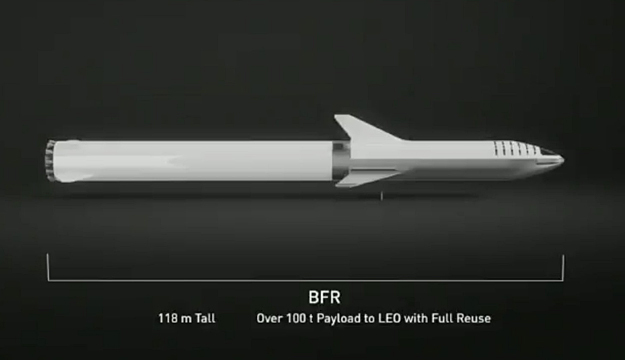 BFR is intended to make people excited about the future." Musk said. As the event ended Someone ask Musk if he will go into space. He said, tearing up just a bit, "this has restored my faith in humanity. He's donating seats. It has been suggested that I will join." Yusaku Maezawa then said "yea yea". Musk replied "OK, maybe I will".